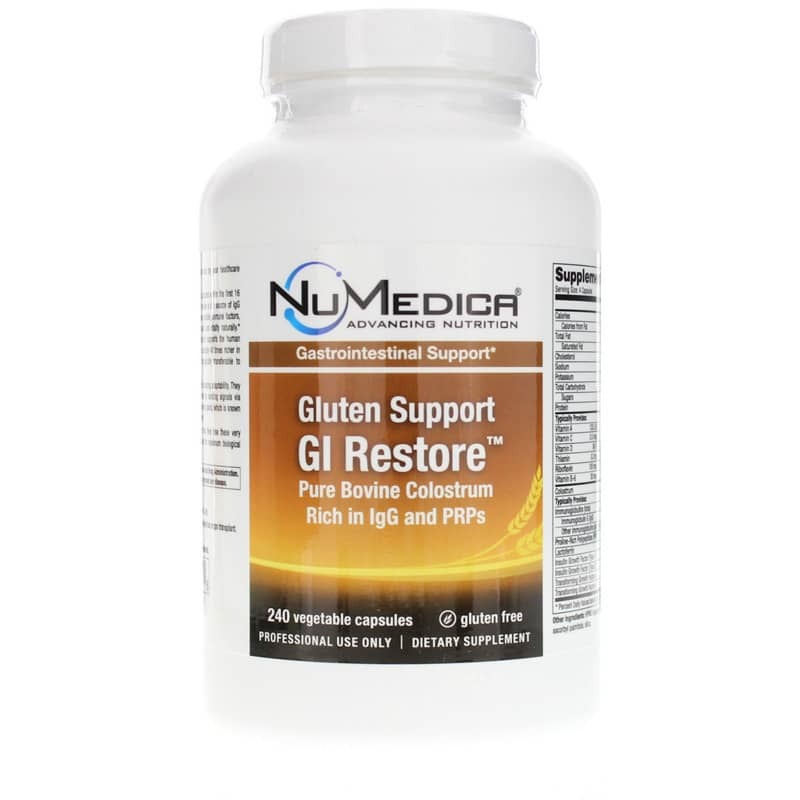 Gluten Support GI Restore from NuMedica is a dietary supplement providing gastrointestinal and immune system support for gluten-intolerant and sensitive individuals through pure bovine colostrum, which provides IgG and PRP. Colostrum is a natural substance produced by female mammals just before they give birth. Full of immune and growth factors and a perfect combination of vitamins and minerals, colostrum gives newborn animals the nutritious start to life they need to thrive. And it may also be the key to supporting your digestion and immune system if you're gluten intolerant. Gluten Support GI Restore is made with pure bovine colostrum collected within the first 16 hours after birthing. This colostrum is a rich source of natural IgG and PRPs; in fact, bovine colostrum is 40 times richer in immune factors than human colostrum. These unique compounds may support the immune and cytokine systems, which are essential for launching a healthy response to gluten. 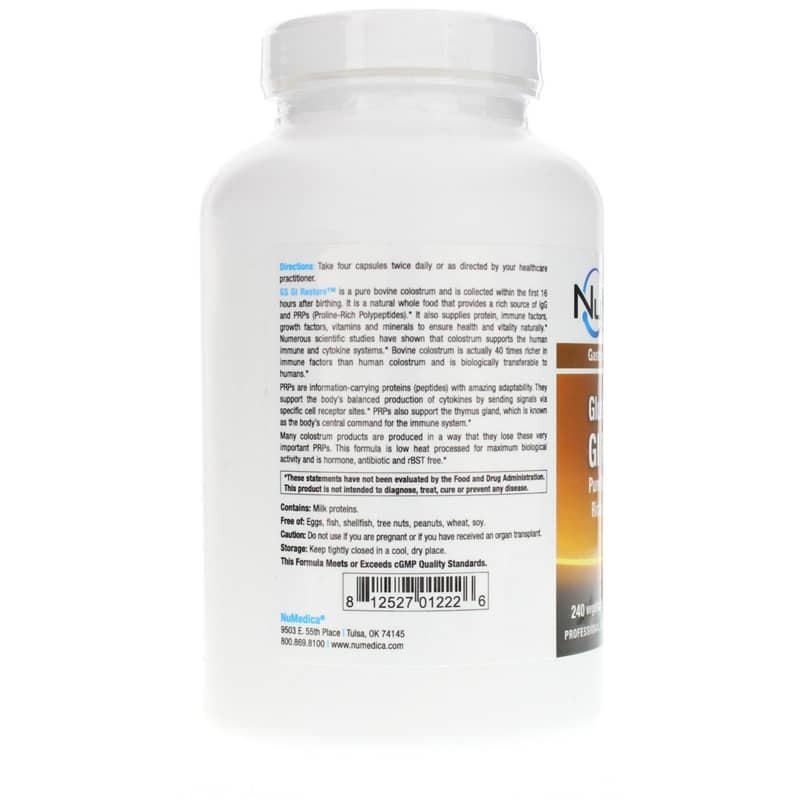 While many colostrum products lose their beneficial compounds during processing, the colostrum in Gluten Support GI Restore is low-heat processed. This helps maintain maximum biological activity. 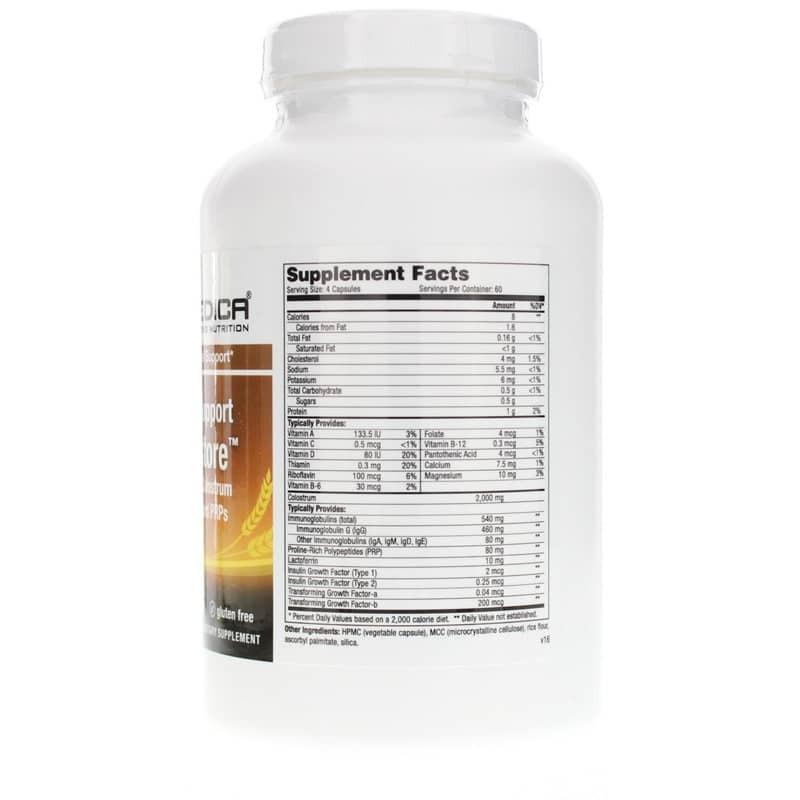 In addition, the colostrum in this supplement is free of hormones, antibiotics, and rBST. Support your immune system's response to gluten with the best nature has to offer. Order Gluten Support GI Restore. Contains NO: gluten, eggs, fish, shellfish, tree nuts, peanuts, wheat, soy. Adults: Take four capsules twice daily or as directed by your healthcare practitioner. Do NOT use if you are pregnant or if you have received an organ transplant. Keep out of the reach of children.